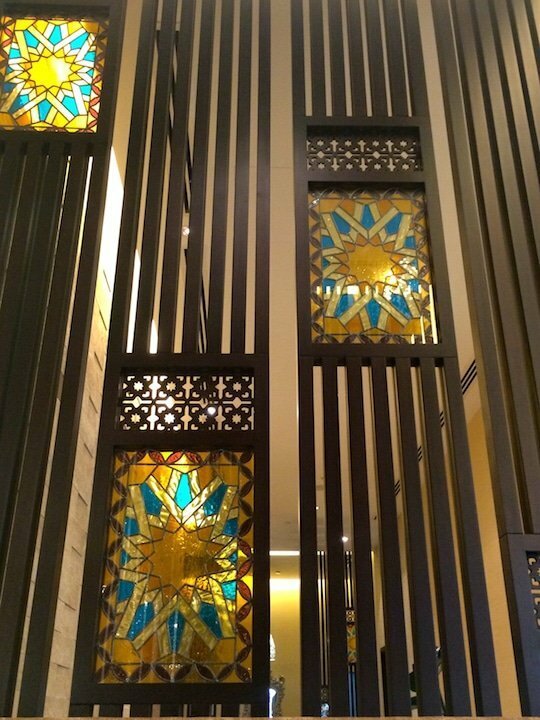 I’ve got to admit I’d never had cause to venture out to Bawabat Al Sharq Mall before, but the lure of a new Lebanese Restaurant in town – Zayzafoon Restaurant gave me the excuse I needed to go and check it out. Everyone loves a bit of good Lebanese cuisine, so even though it’s a little out of my usual stomping ground, I decided it was well worth a look and a good excuse to explore a new part of town. 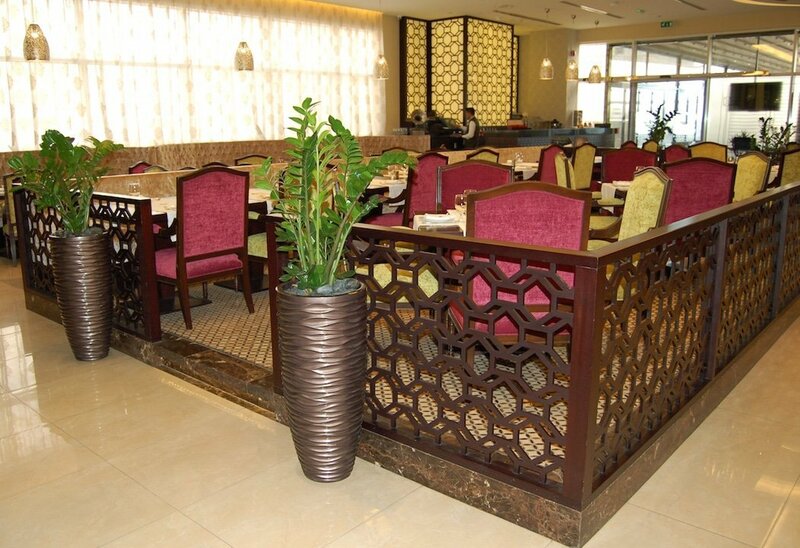 The restaurant itself is on the first floor within the BAS Mall and if you head towards the food court, in the centre at the back you’ll find a welcoming entrance to a very comfortable looking Zayzafoon. 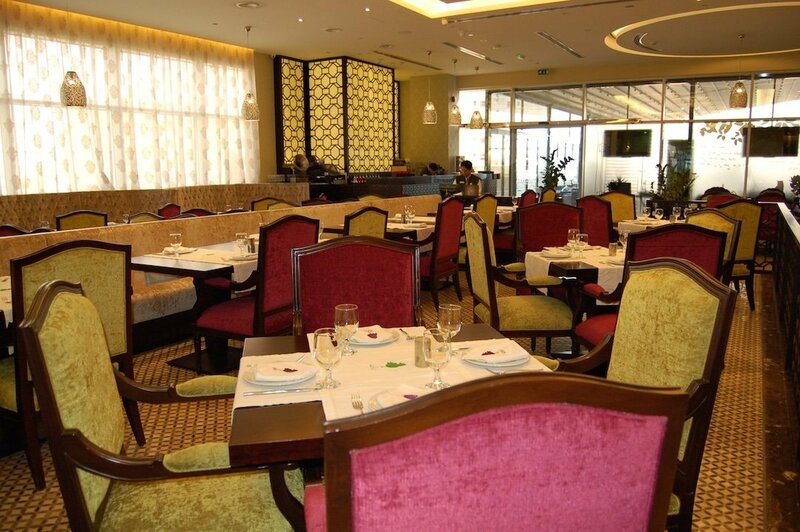 Initial impressions told me that this wasn’t your average Lebanese restaurant – definite care had been taken to make this appear a little more upmarket than the quick bite road side places that many of us are already familiar with. 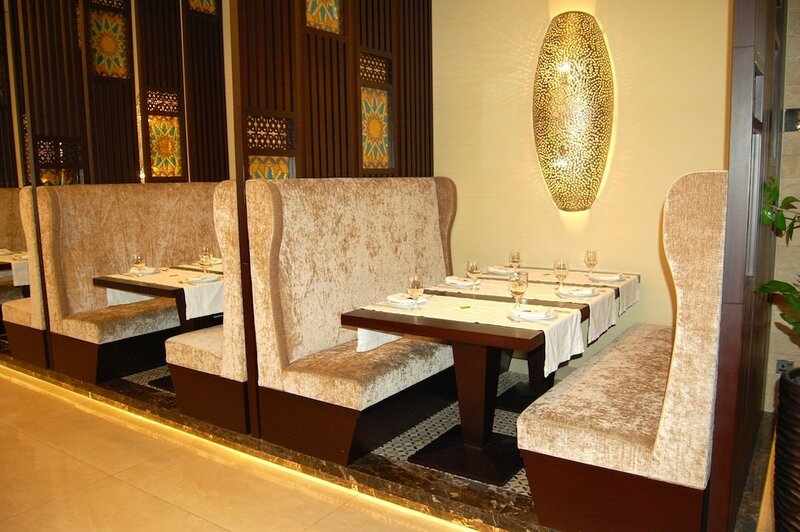 As well as the main dining area that forms the centre of the restaurant, there are also booths around the edges which provide a little more intimacy and privacy for your group. 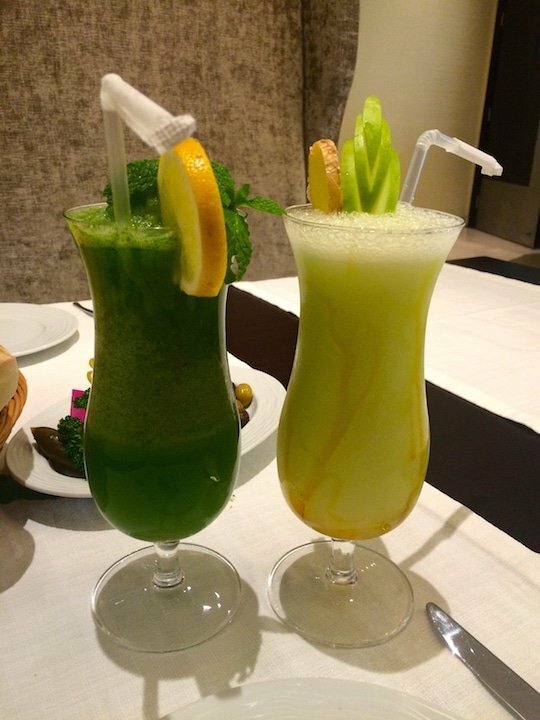 I just had to post the picture of these juices – one traditional favourite, mint lemonade and one apple, ginger and honey – both were freshly squeezed and absolutely delicious. 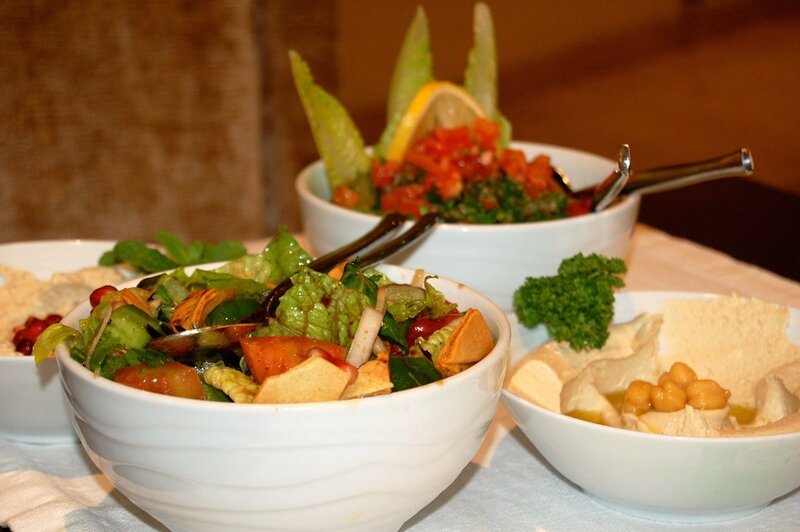 If you’re fan of fresh juices, you can always rely on a good Lebanese restaurant to deliver these! And with that, we started eating. 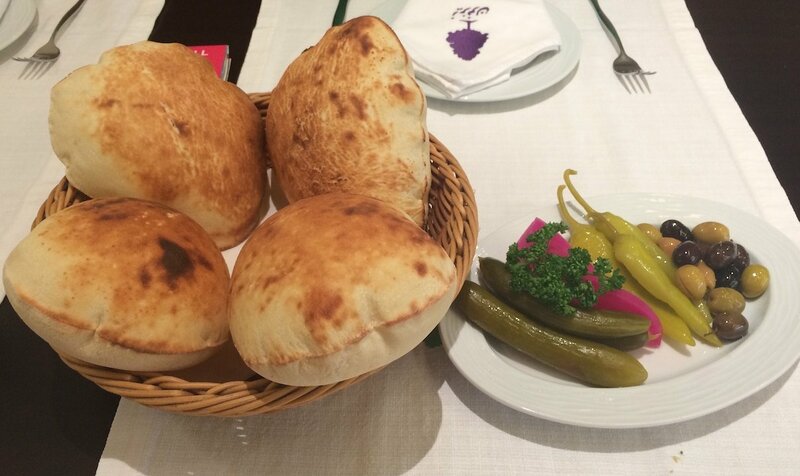 I just love the fresh bread that seems to be customary – or ‘puffy bread’ as we like to call it and I’m also a bit fan of the pickled veggies. I liked seeing the pickles served as wholes for a change, and the pickled radish was also really tasty and not something I’ve seen everywhere. Pretty much from the puffy bread onwards, the food just started coming… and it was great! It was also a little different to the usual as well which was nice – Chef Ezzat has added his very own little twists to the food to make it that little bit more exciting and different. For example, the moutable had a deep, smoky taste which he told us was unique to the way it was prepared – they smoke the aubergine first. It’s these small touches that really made a difference. I am not normally a huge fan of fattoush I have to say, but this fattoush was enough to change my mind. Served complete with crispy bread bits to add texture, all the veggies were lovely and fresh, but the pomegranate seeds added an extra dimension. Again, the difference was also in the detail – pomegranate was also added to the dressing for an extra zing and the crisp bread pieces after cooking are placed into the olive oil and sumac so that they also absorb the flavours. A really tasty salad to begin with and for a western palette – an unusual but thoroughly delicious one. 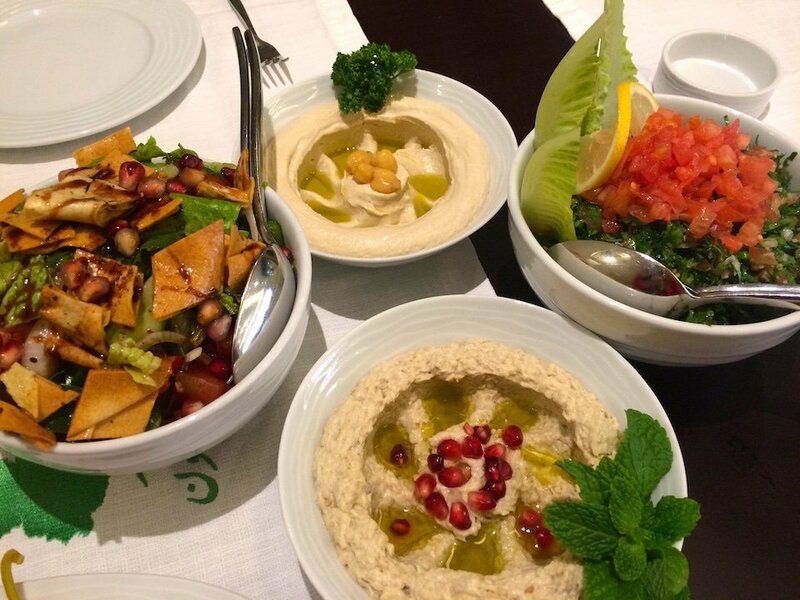 I, of course have my old favourites that I tend to gravitate towards when ordering Lebanese food but on this occasion we asked for recommendations so we could try some new things and also see the best of what Zayzafoon have to offer. The batata harra – or spicy potatoes was one dish alone that we both could have just kept on eating quite happily! Such tasty, crispy potatoes… they really were delicious – our only problem was holding ourselves back so we still had room to try some other dishes! We also went for the mixed mouaajanat which included kibbeh, spinach fatayer, meat sambousek and my personal favourite – cheese rolls! All of it was great, and again – oddly I’ve not often found myself to be a fan of the spinach fatayer but the flavours inside were different – this time it wasn’t spinach that overpowered my mouth, but instead a very delicate spinach flavour with I don’t know what magical ingredients – all I know is that it tasted really good. 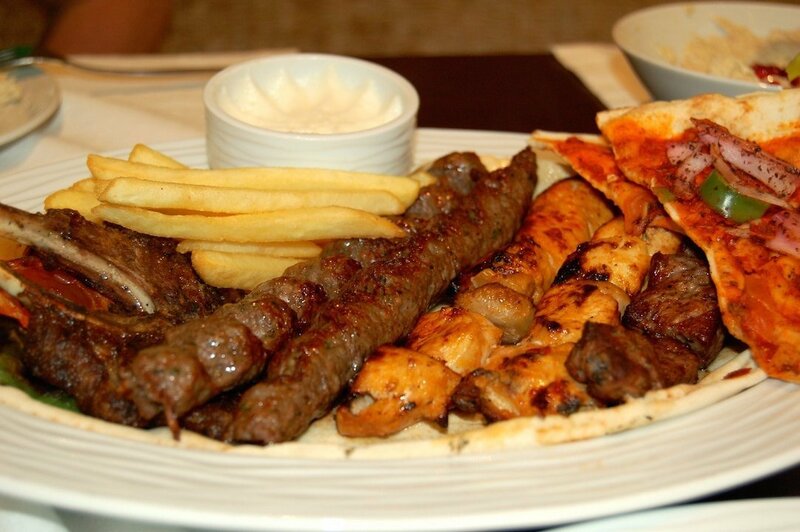 It wouldn’t be right to come to a Lebanese restaurant without trying the infamous mixed grill. 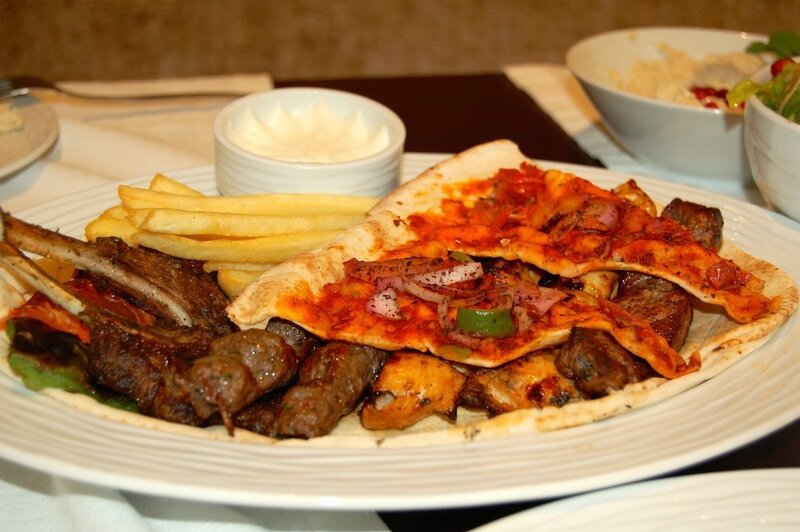 All the usual suspects were represented – lamb kofte, beef cubes, lamb chops, chili pita bread and my ever favourite – chicken shish tawouk. Mr. Arabian Notes chomped into the lamb chops like they were going out of fashion (ever the carnivore!) but again, there wasn’t anything we didn’t enjoy. The lamb kofte was well worth a mention as I found it to be tasty, but also a much more delicate and juicy texture than is often the case. Sometimes kofte can feel a bit overcooked and tough, but this was most definitely not the case – in fact, all the meat was tender and juicy – just as it should be, but is often apparently much harder to do in practice than it might appear. 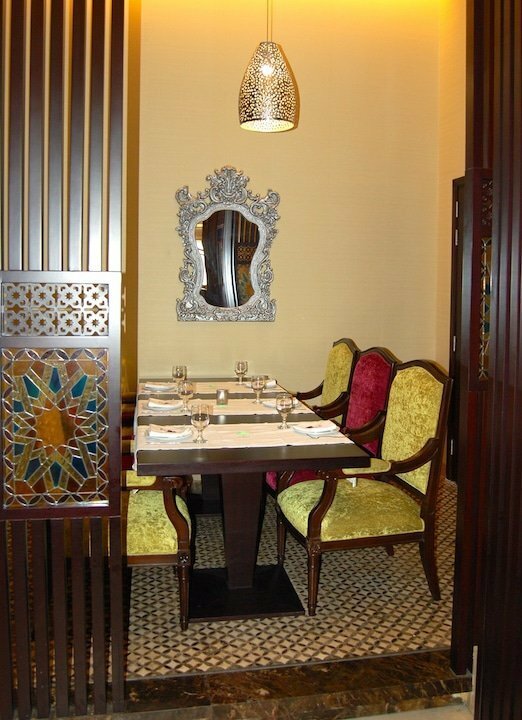 We were impressed with the restaurant and all the staff were friendly and helpful – very willing to answer our questions about what secrets twists the food held to add those unexpected but delectable differences! Would we go back? Yes, we would – I’m only sorry I don’t live a little closer to it, though in actual fact it was a shorter drive than we’d expected from the Grand Mosque area to get to the mall. Certainly for the plethora of people who live in the areas surrounding it will no doubt prove to be a little gem in your neighbourhood. 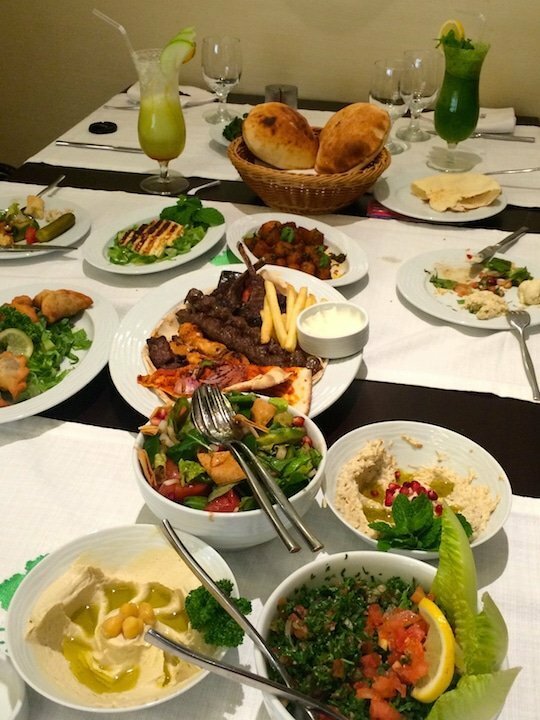 Although we stuck to the Lebanese cuisine (there was already more than enough for us to eat!) 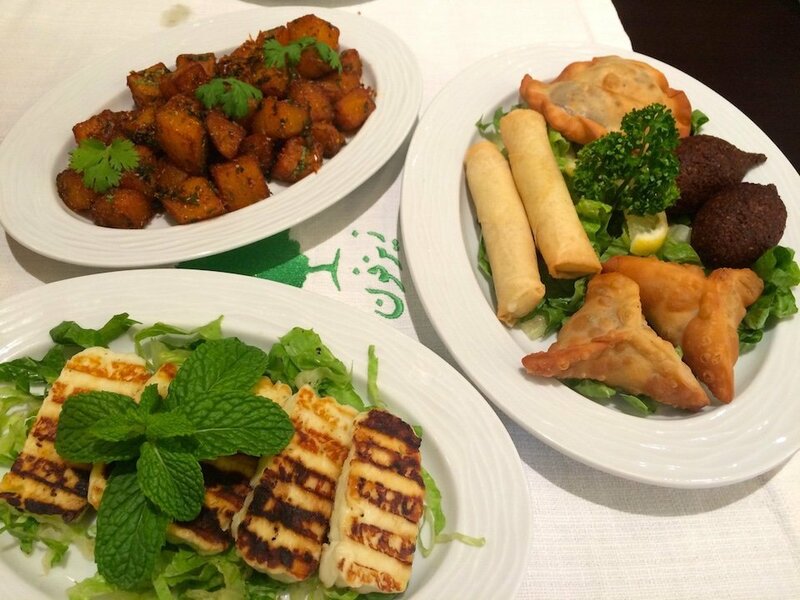 they also serve Egyptian specials such as chicken molokhiya, Kebda Iskandarani, Egyptian style vine leaves and more. If you are living in the area, it might also be useful to know that you can call them and order food for you to pick up yourself and take away – perfect after a long day of shopping in the mall! 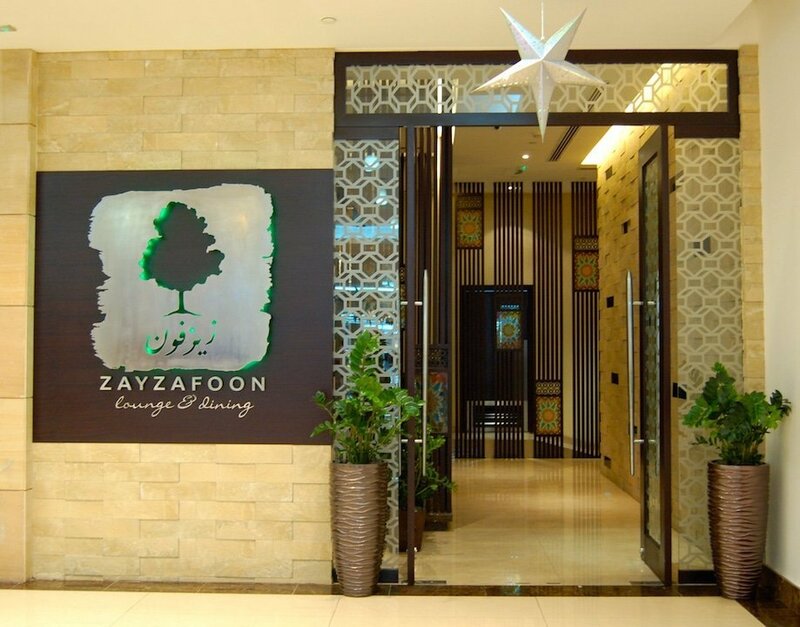 To find out more visit their website zayzafoon.ae or give them a call on 02 503 1499. 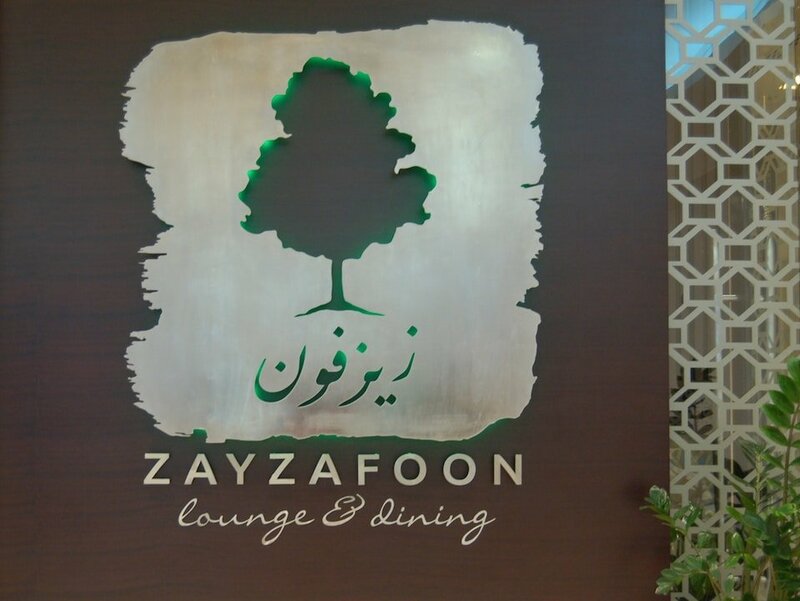 Zayzafoon lounge and dining is located in the Baniyas region of Abu Dhabi, inside the BAS Mall.